There's no denying that some of the world's most famous faces have been brought to you with a little Botox in recent years. Hollywood actress Nicole Kidman is one of the latest celebrities to admit to using the treatment to stay youthful-looking and fresh-faced - and she's one of a very long line of stars to have openly discussed having the treatment. In recent years, the likes of Friends star Jennifer Aniston, supermodel Cindy Crawford and evergreen entertainer Lulu have brought up the procedure in interviews. Then there's the Minogue sisters - Dannii and Kylie may have taken very different career trajectories in the music world over the past two decades, but the one thing they clearly share is a love of Botox. Few would argue that having the treatment has helped these truly beautiful women to dazzle the world in films, TV shows and music videos. However, these days Botox is more than just a celebrity fad that's used to simply fill in wrinkles and wind the clock back. In fact, it's being used by all sorts of different people from various sections of society. Once considered the preserve of the rich and famous, thousands of ordinary people are having the non-surgical injections every year, for a whole range of reasons. The most common reason for having the treatment remains the benefits to the eyes and the lines and wrinkles around them. One of Botox's big benefits is that it weakens the muscles in the face which are responsible for squinting and crinkling, which creates the nasty crow's feet effect. The beauty of Botox injections is that they only affect muscle nerves, meaning that patients do not lose the feeling or sensation in the treated area. Another common reason for having Botox is to fill brow lines, caused by smiling, laughing and frowning. For this reason, having this simple procedure in this area can dramatically alter the way a person looks, changing the face from giving the appearance of anger and sadness to a much softer look. The forehead is another area which is commonly treated with Botox. People who have the injections here can expect to look less haggard and enjoy smoother and more radiant skin. However, there are a growing number of alternative uses for Botox - some of which have more of a medical slant than anything to do with cosmetic surgery. People who often suffer from migraines and severe headaches are increasingly turning to Botox to relieve tension and pain in their temples. Meanwhile, the embarrassing condition of excessive sweating can also be treated using the procedure, which requires having injections in the armpit area. There's also developments of the procedure which target back pain and jaw tension - and there's other new treatments being brought out all the time. Recent media reports have even suggested that a topical gel solution which requires no injection has made it to phase two of clinical trials - meaning that the day when having Botox is considered just as normal as using anti-ageing moisturiser looks to be rapidly approaching. Whether you're one of the world's most famous stars or a normal everyday woman, that's got to be a cause for celebration. what botox really does is it numbs the muscles in your face. when you cant move particular muscles in your face the wrinkles don't show and much. What age should you start getting preventative botox? To prevent premature aging of the skin you can start at a very young age. Also stay out of the sun as this is the most aging thing for the skin. Many ladies and men that i know who are in their 40's do have botox as you cannot actually stop the ageing process- and we all want to look younger - but the earlier you start to take care of your skin the better it will look after you. 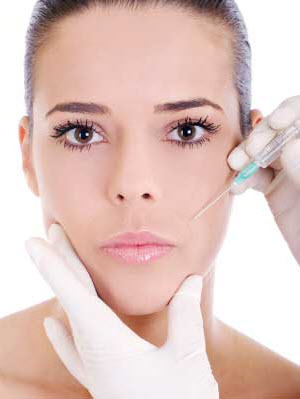 The botox treatment should last 3-6 months and should gradually become less effective. If you are still having problems in a few weeks, definitely go get a second opinion. I had them done for years (for headache) and the only thing I have noticed is that for a couple days after wards I feel a little 'bleh' like half coming down with a cold. And of course, they can hit the wrong spot - and for a few weeks you have the wrong spot paralyzed. It's temporary though. Botox is Bochillisim toxin aka one of the most potent poisons on the planet. Two weeks after you get the first treatment you have the peak results, the effects will wear out in 3-4 months. But if you get it again, the effects will last longer, 6-12 months and for about a year the third time. What are the effects of botox poisoning? Botox generally has mild to no side effects. Some people notice temporary weakness of muscles or discomfort at the injection site. Drooping of the eyelid can also occur occasionally. Other possible side effects are eye irritation, dryness of the eye, excessive tearing, sensitivity to light and superficial punctate keratitis (i.e. localized inflammation of the cornea). All of these, however, are not too likely to happen. Non-medical side-effects are loss of true facial expression. The injections, while they keep your face tight and firm, reduce your ability to shape your facial muscles to form expressions. That's why people with botox look permanently happy/surprised. Why are the effects of botox temporary.? There are superficial side effects in some cases such as prolongued swelling, redness, itching, etc. which may appear in areas where the injections occurred and even in areas close to the injections area, but if they occur, they go away after a couple of weeks.